The world of digital media is an intricate web, connecting human beings from all corners of the globe on either a personal or professional level. More people are turning to technology to help meet their match either professionally or romantically. Networking is at the core of both with the lines between work and personal life blurring as seen in a 2014 survey by CareerBuilder which revealed that nearly 40% of employees admitted to having a romantic relationship with a coworker. Similar to dating, in order for networking to be a success some effort is required. Laziness is just as unattractive as an overzealous attitude. You need to the strike a delicate balance between being attentive and aloof. Remember, it is not all about you. People don’t like to be sold. Give them the freedom to get to know you and your business at their pace not yours. 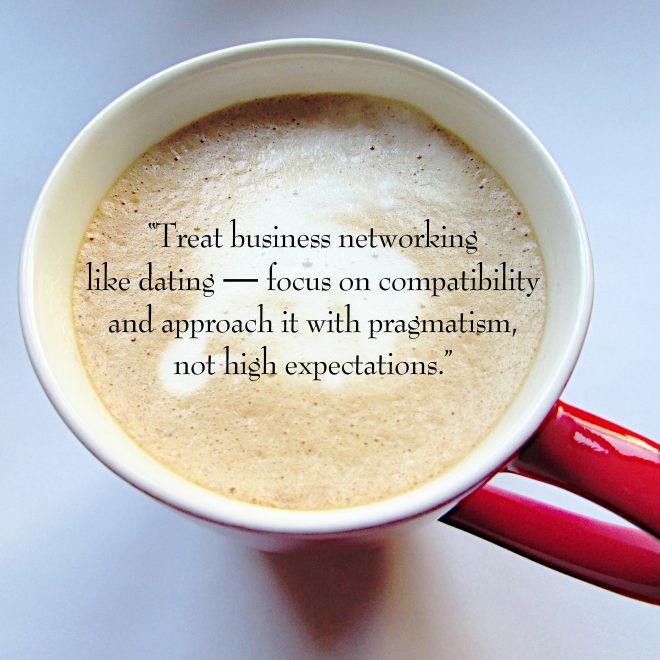 Treat business networking like dating ― focus on compatibility and approach it with pragmatism, not high expectations. Here are five ways networking is similar to dating and how your approach might be leaving little to be desired. Being Too Eager is a Turn-off. No one likes a pushy date so stop selling your services or products to any and every one you meet. It is the equivalent of proposing marriage to someone you only recently met and as you can imagine, it leads to the same type of cringe worthy response by most people. You barely know the person but already you are picking out china patterns for the wedding and the neighborhood in which the two of you will live. Any possibility for future dates flies out the window with even the whiff of such insanity. Learn from this glaring mistake people often make both in dating and business networking. Show interest in those you meet but in moderation. Listening More than Talking is a Learning Opportunity. Networking like dating works best when communication is a two-way street. No one enjoys a conversation with a person who is boasting about him or herself except maybe the individual speaking. Engage in meaningful conversations. Try asking people questions that break away from the norm. For example, “What projects are you working on this year that you’re excited about?” or “Are there any activities you’re looking forward to doing this season?” Avoid asking people right off the bat, “What do you do?” or worst “What are you selling?” You can learn a lot about people based on their responses to questions that center on their interests and hobbies. The jobs they do for a living will naturally find its way into the conversation. Alcohol may be a social lubricant to ease the anxiety of meeting new people but drinking too much can ruin your chances of connecting with individuals on a genuine level. You need a clear and level head to form authentic relationships. Stick to one drink at networking events or none is even better. After all, you want to make a good impression. Is drunkenness truly the best look when highlighting your strengths? Highlighting Your Best Qualities is Essential. In order to highlight your strengths, you need to be confident in your skills. However, don’t mistake a cocky attitude with confidence. Confident people do not need to name drop, act condescending towards others or inflate their own abilities to appear important. Allow people to get to know you at their pace. Your best attributes will naturally shine overtime. If they don’t notice the value you bring to the table, trust that others will. It is not the end of the world. Use Technology to Weed Out Bad Matches. There are several ways technology can be utilized for business networking. 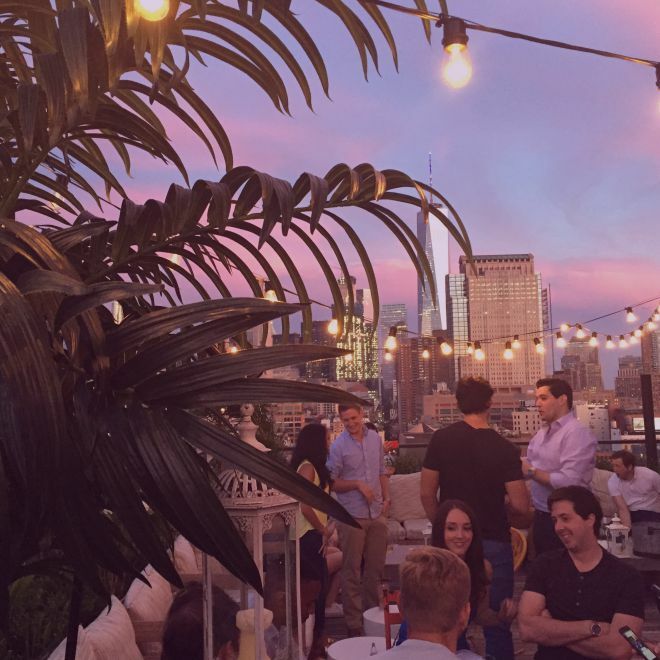 You can use apps such as Meetup, Eventbrite, Sprout Connections, or Happening to find networking events in your area that pique your interest. Another wonderful thing about technology is the ease with which you can find information about the people attending these events. LinkedIn or a quick Google search can provide some useful background on individuals you meet. Be picky about the networking events you attend and the business relationships you make. Not everyone you meet will be a match for your business needs whether it be for mentorship or funding. Building strong relationships with people that share your values is one of the smartest moves you can make for success. As in dating, when it comes to successful networking, you have to hunt to find the right opportunities. The best way to accomplish this is to approach it with patience and finesse. Skills alone are not enough to make lasting relationships with people. Keep in mind, networking is an opportunity to connect with others on a human level, building the foundation for future collaborations and ventures so don’t rush it. These things take time. Valerie is a writer, illustrator, and marketing consultant who oversees all design and marketing projects for the brand. Current obsessions: Barre workouts, snowboarding, and French Press coffee. Catch her on LinkedIn to connect.